The governor updated the president on latest political development within the All Progressives Congress in Lagos. The governor’s political godfather, Asiwaju Bola Tinubu and the leadership of the APC in Lagos were alleged to have mounted pressure on Ambode, to drop his second term bid. 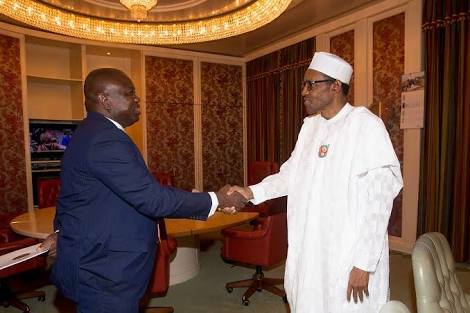 NAN, however, gathered that governors under the platform of APC, who met on Wednesday night in Abuja, had on behalf of Ambode, sought the intervention of President Buhari in the APC crisis in Lagos. NAN gathered that the president may also meet with other APC stakeholders in Lagos within the week as part of efforts toward resolving the rift.